Please help the families of Jennifer Ertman and Elizabeth Pena as they protest the potential parole of Venancio "Vinnie" Medellin, who is serving a 40 year sentence for his part in the brutal gang rapes and murder of those beautiful young girls. On June 24, 1993, Jennifer and Elizabeth had the misfortune to cross the path of a gang called the "Black and Whites" which counted among its few members, Peter Cantu, Joe Medellin, Efrain Perez and Sean O'Brien. On that hot summer night, a new recruit, Raul Villareal, was trying to join the gang. Vinnie Medellin was 14 years old and was allowed to join his older brother Joe when he went out drinking with the gang. Jenny and Elizabeth were taking a shortcut home, trying to beat curfew. When the gang saw the girls, they grabbed them and pulled them into a wooded area near a city park. The girls were subjected to at least an hour of horrific gang rapes before being strangled and stomped to death. Vinnie sexually assaulted Jennifer Ertman, but did not participate in the murders, being told he was "too little" for that part of the crime. The girl's brutalized bodies were not found until several days later and the murderers were arrested the next day. Vinnie Medellin pled guilty and was sentenced in juvenile court to 40 years for the aggravated sexual assault of Jennifer Ertman. The initial part of his sentence was served in the custody of the Texas Youth Commission. He subsequently testified in the trials of each of the five murderers, except for his brother's trial. All five murderers were sentenced to death. When Vinnie turned 18, he was transferred to the Texas Department of Criminal Justice to finish his sentence. Sean O'Brien, Joe Medellin and Peter Cantu were all executed for their parts in the murders. Efrain Perez and Raul Villareal had not yet reached their 18th birthdays when Jenny and Elizabeth were raped and murdered and were removed from death row when the US Supreme Court issued a ruling that prohibited the execution of murderers under the age of 18. If you would like to share your letter with the victims' families, please send a copy to info@murdervictims.com. Please DO NOT grant parole to Venancio Medellin. 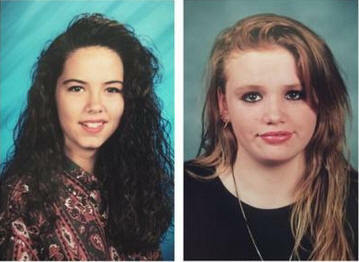 The heinous nature of the rapes and murders of Jennifer Ertman and Elizabeth Pena should preclude any consideration to parole Medellin. On June 24, 1993, Medellin violently sexually assaulted Jennifer Ertman, and stood by as Jennifer and her friend Elizabeth were viciously gang-raped and then brutally murdered by his brother and the other members of the gang. Medellin was in the custody of the Texas Youth Commission for the initial years of his sentence, and it was reported that he did not take responsibility for his part in the crime. We have no reason to believe this has changed. A 40-year sentence for aggravated sexual assault should mean just that, particularly in this case. As a concerned citizen, and in the interests public safety, I am asking that you DENY PAROLE for Venancio Medellin. Justice demands that he be made to spend every day of his sentence in prison. To lessen the emotional trauma for the victims' surviving family members, please consider giving a five-year set off before future parole reviews.